How To apply: Apply Online at CGPDTM Recruitment website from 06/08/2018 to 04/09/2018 only. Advertisement Details: Please check here . 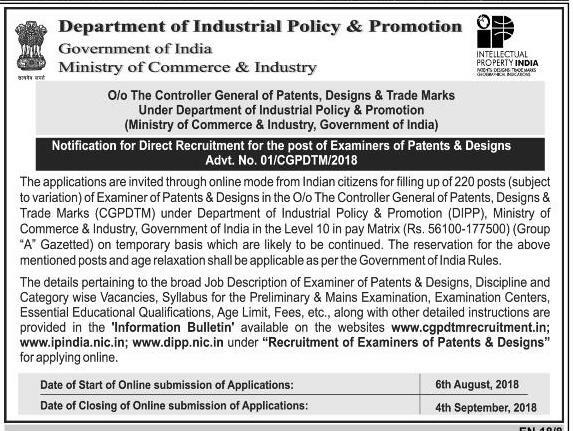 One may visit https://www.cgpdtmrecruitment.in, http://www.ipindia.nic.in OR http://dipp.gov.in for more details and online application format.